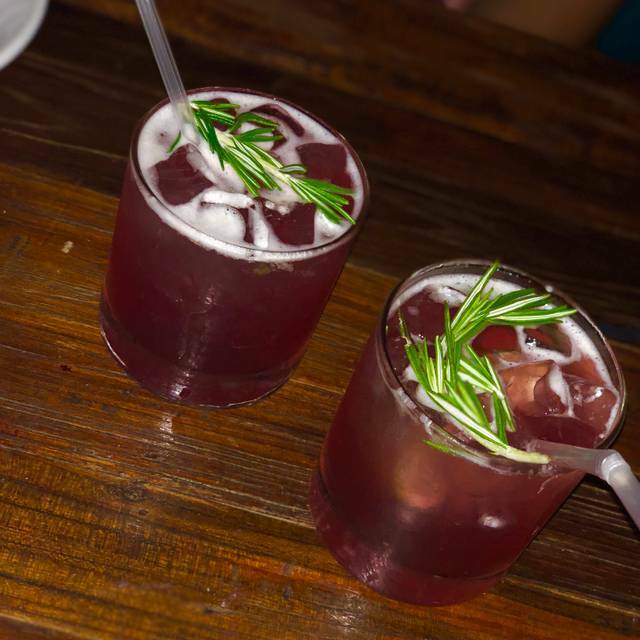 Miti Miti focuses on the foods and drinks of Mexico and Latin America. 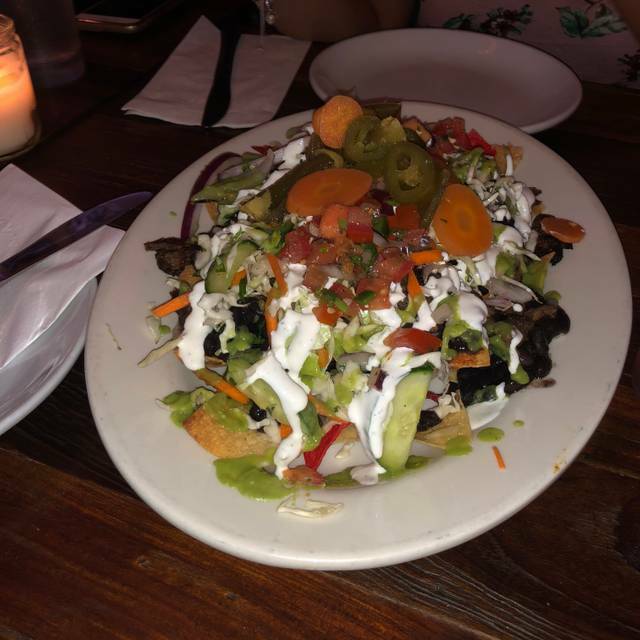 Our most popular dishes include: Lobster Guacamole, BBQ Chicken Nachos, Tasty Tacos ( Shrimp, Crispy Chicken, Grilled Fish, Pork Belly, Tofu, Western BBQ Steak), Chimichurri Hangar Steak, and Crispy Brussel Sprouts, to name a few. The bar offers up fresh and tasty cocktails such as amazing Margaritas (frozen and on the rocks), three different Sangrias (red, white AND green), Sangritas (frozen margarita mixed with any of our sangrias), and cold draft beer.The space is fun and funky - perfect for a romantic date or an outing with friends. We can also accommodate large groups. Mango Coconut Chicken Wings . Just relaxing. Think instead of sending free drinks you should ask the customer what they want or waive some things off the bill. Tasty Mexican food. Decent Salsa. Fresh chips. Large varied menu. It is VERY loud, almost impossible to have a conversation with your dinning companions. Tables are very close together. You can "enjoy" your neighbors as well as your own party. Delicious food, but the service is extremely slow and the noise level is crazy loud. Food could be so much better for the price tag. The decorations and music was great. I recommend going for the music but not the food. While our first round of drinks and appetizers came fairly quick, it took a decent amount of time to get our actual food. We ordered a second round of drinks and those also took a long time, although they did still arrive before our meal. It was ok. Service was lackluster, more of a loud club atmosphere. 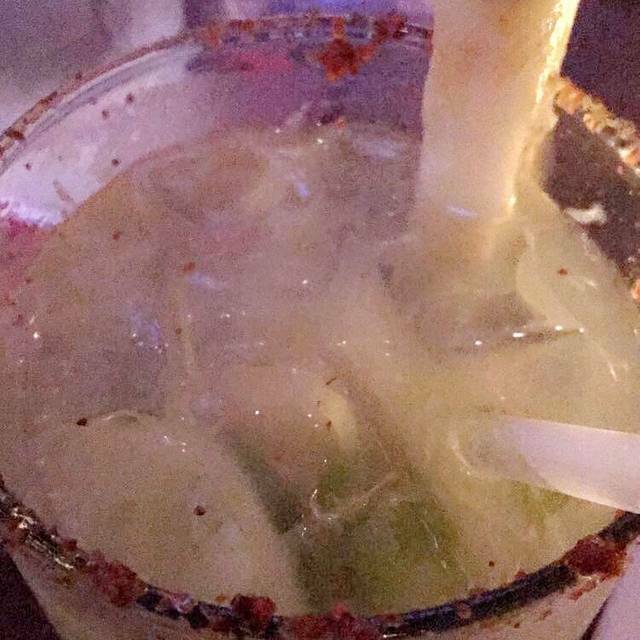 Didn't order any margaritas because they are made with sour mix, not lime juice. Not the best Mexican spot and tacos looked overpriced. Absolutely the best Mexican restaurant and the BEST food!!!!! The vegan tacos and passionfruit frozen margaritas are the best we've ever had!! The food and service was very good but the noise levels made it impossible to have a conversation. We quickly ate and left. We went for my best friends bachelorette party this weekend and it was amazing! 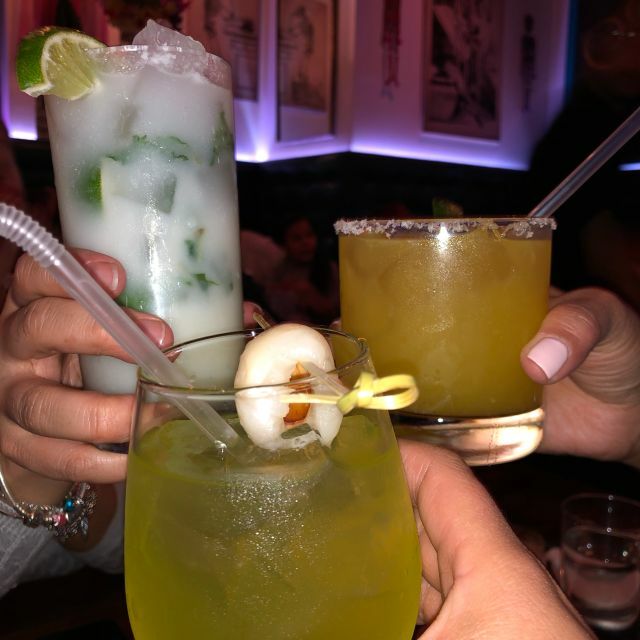 The food was great, the drinks were awesome and the service was good too! Unfortunately our server was under the weather and had to leave early, but we still got our food, drinks and bill in a timely manner. Definitely recommend! Understaffed, service was spotty despite waiter working hard. Drinks were very, very strong (but creep up on you) which some may think is a positive but when you have two and are then handicapped that’s not a positive. Miti Miti is a fun place for great food. I came here on a Monday night so it was a little quiet but most of the tables were full. 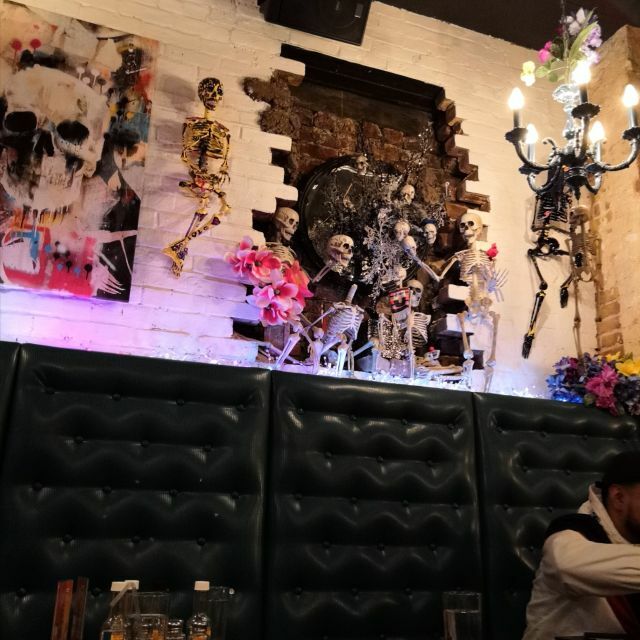 The decor is awesome and the food is incredibly tasty. Our waitress was friendly and attentive. Overall, great service. Will definitely be back. Our second time here. Great menu, good food, and the staff is attentive and helpful. A very nice place with interesting and colourful interior design. The food was super delicious and the atmosphere welcoming. The place seemed very popular, so maybe make a reservation on weekends. The music was a bit loud which naturally made the customers turn their volume up a notch and thus it was noisy, but then again it suited the lively atmosphere. We visited on a Saturday afternoon. great service, great food! really fun atmosphere. Good for a group! frozen margaritas were awesome. Came here prior to going to the Barclays Center on a Friday evening. We were seated within minutes. Service was friendly and attentive. The food was delicious. Had empanadas, wings, nachos, pork chops, fajitas and tacos. All were excellent, large portions and not expensive. I’m looking forward to coming back soon. I would highly recommend Miti Miti. Everyone was wonderful- the lobster quesadillas were excellent! Our waitress Johanna was great ! We loved all the food and recommend this place highly!! The food is unexceptional, and the ambiance is way too poppin/loud to enjoy a sober meal. Might as well go someplace else. 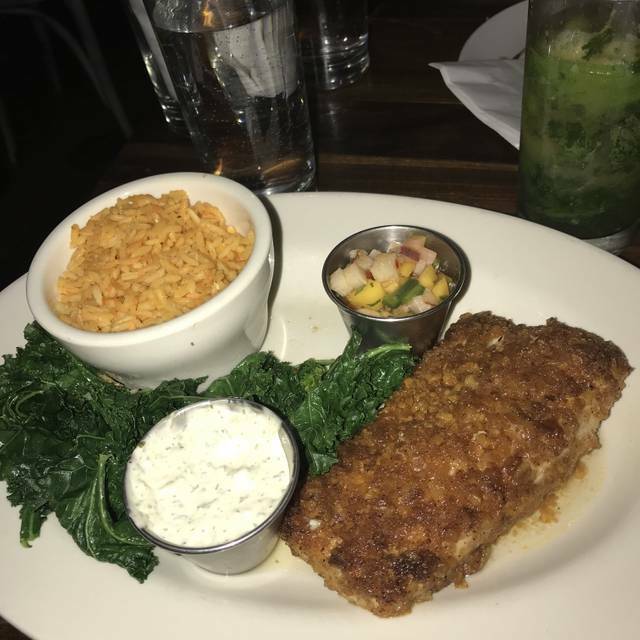 Server and food were great! José was an amazing server. Food was delicious. Overall awesome. Rice could have been more flavorful. Other food was great and service exceptional. Great vibe with good music. Brooke was awesome for our bottomless brunch! First time visit, a recommendation from a local friend and we WE LOVED IT! Very attentive waiter and super delicious food/drinks! Really got the most out of the bottomless brunch, would love to come back! Pretty big place and they stuck a table of 4+ baby in a high chair in an awful spot. I had made a reservation so it wasn't last minute. They also brought the appetizer out and then our entrees like 1 minute later which was annoying. But the food was really good so I would go back. We went to Miti Miti for their Boozy Brunch. We chose the option is for a higher priced brunch which allows you to get sangritas and margaritas (as opposed to the less expensive option that only allows for Bloody Mary's, beer, and sangria). After the first round of margaritas we were told that there were no more frozen drinks available. However, they refused to switch us to the less expensive brunch price because we had been served one margarita. 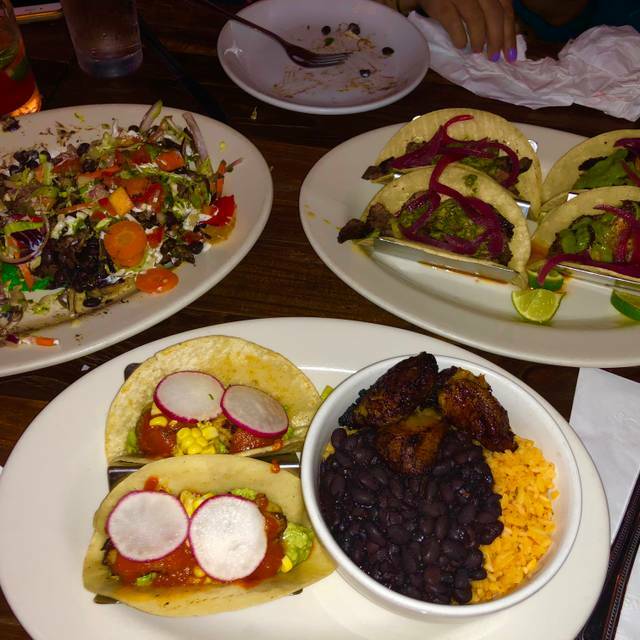 If you’re looking for a quick spot to go to with good drinks and tacos Miti Miti is your place. I have been a few times for just exactly that. They could do better on the service side. But a good after work place for happy hour. I visited miti miti on a Saturday night. I had reservations, There was no wait to be seated. The decor was so cool it was a great ambiance inside the restaurant. The problem was the food, ordered chicken quesadillas and buffalo wings. The quesadillas were average at best. The buffalo wings were covered in this terrible breading, it was honestly like chicken wings from the supermarket ! My guest had the same thing and felt the same way. Almost 100 bucks for 2 people to eat terrible wings and weak drinks. Not impressed at all! 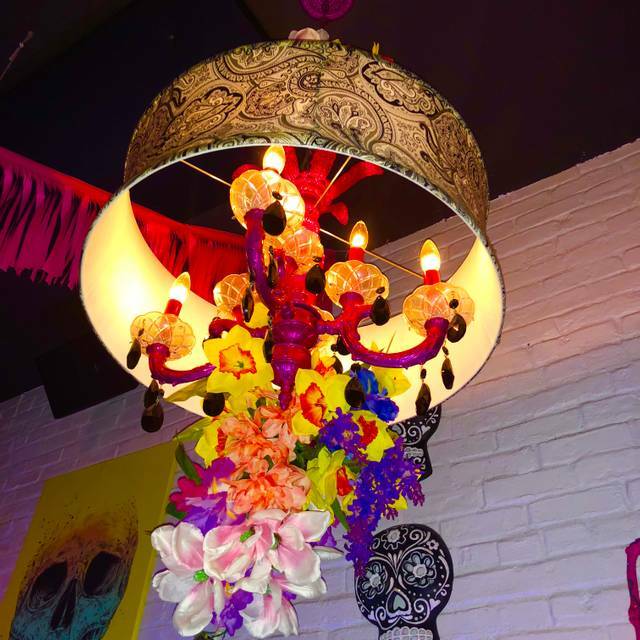 Miti Miti serves outstanding modern Mexican food at great prices. It is one of my favorite restaurants in the city and we regularly eat there. Unfortunately, at our last visit the service was subpar. They forgot to bring the complementary nachos to our table while others got it, and the dishes we ordered took rather long to arrive. 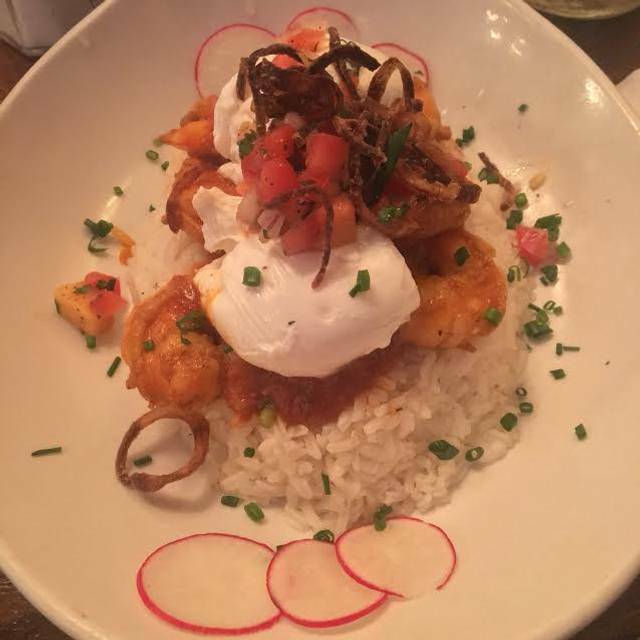 We really enjoyed taking advantage of the bottomless brunch special, it allowed everyone to try various breakfast cocktails as we worked our way through a delicious meal! The staff were very attentive and super hospitable. The music was definitely too loud, and there is nothing to absorb the noise, but it was festive and we, a group of 7, were still able to enjoy ourselves. Brooke was our server and even though she was handling a packed room, she was always ready when we needed something! Super upbeat and kept the drinks flowing. Fantastic service! I reserved for my friends birthday party and everything was perfect from the food to the drinks. The staff could not be more accommodating. Fun atmosphere and good food and drinks. I would definitely recommend Miti Miti to my friends. Our drinks took 30 mn to arrive and our food an hour. The drinks (margaritas) were gross and the waiter didn't care to replace them. The place is SO loud, seems like everyone goes there to scream. Basically - rude waiter, heavy food & watered-down drinks. Very disappointed.